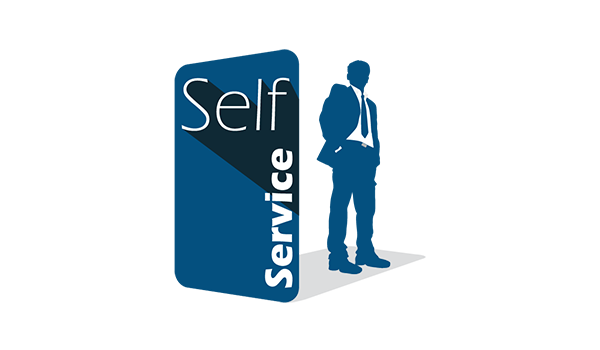 Customer Self Service Mobile Application is communication tool for Onyx software users to facilitate fulfilling quick tasks related to clients to manage their activities and develop their business relationships. All commercial or service business enterprises using Onyx Software. The application should be installed on clients mobile. To be used online and linked with Onyx Software. Control screens names from Onyx software. Multilingual; English, French and Arabic. Activation of API to use bills payment. Exchange of official documents with clients for balances matching, sending accounts like quotations, client’s order or invoice and the statement of account...etc. 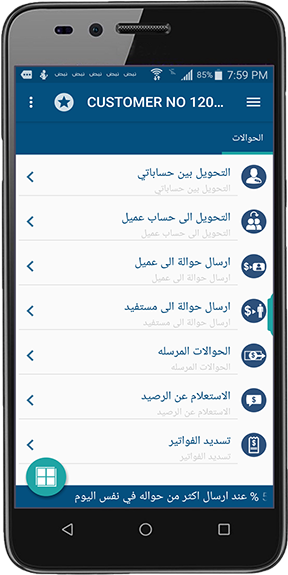 Cash transfer between the client accounts, for another client account, send cash transfer to client or beneficiary. Bills payment based on available services in the client area. Continuous communication among clients via chat messages; updating the client’s updatable business and contact data. Institutionalization of Onyx users in the enterprise to be shown for all clients of application users. Display transfers transaction in terms of balances or status. Define using local currency or others. Control transfer transactions among accounts and define the allowed daily ceiling of the application transactions. Control the most important transactions of the application to achieve secure utilization. Display clients location addresses via GPS and identify the closest for direct access. Update clients via news bar.